The Sense of Wonder entry form is a “fillable” PDF. 1. Download the Official Entry Form PDF. 2. Fill in your team’s information. 3. IMPORTANT: After you have filled in your team’s information you must “save as” with your name in the file title. (see example below) This is the file you send RCLA as your entry form. IMPORTANT: Please review the contest rules below before submitting an entry. 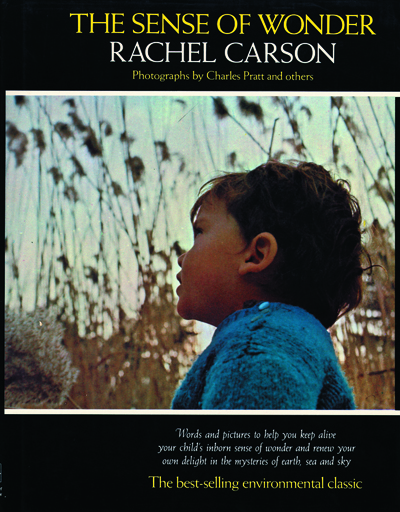 Since 2014, we at RCLA have been directing the Rachel Carson Intergenerational Sense of Wonder/Sense of the Wild Contest and continue to regard it as a worthwhile way to honor this great American’s legacy. Winning entries submitted especially by young team members in the form of poetry or prose have aptly demonstrated these writers’ appreciation for nature’s wonders. Further, the written format seems a fitting way to approach our Contest goals. Thus in 2019 we are limiting the Contest submission categories to those containing written options: a poem or an essay either as a stand-alone entry or combined with a photograph (four choices total). Each format option can be combined with one of the two theme options, resulting in eight possible choices for a Contest entry. Our goals for the 2019 Contest reflect the Carson legacy and revolve around two themes: “Sense of Wonder” and “Sense of Wonder/Sense of the Wild.” The themes are discussed below. 2-A. The “Sense of Wonder” theme encourages people of different generations to have a positive, outdoor, nature-centered experience and then as a team to produce an entry (poem or essay) portraying the experience and describing their responses to it. Why write about the nature experience? Portraying the wonder found in nature requires a focus on the positive, immediate effects it can have on our senses (sound, sight, smell, touch) during the experience, and where possible on implications for future attitudes about the environment that result from it. This encourages mindfulness in identifying our perceptions of nature’s wonders, combined with the communication skills needed, to convey the feelings arising from the experience. Mindfulness and communication skills are valuable assets in today’s world. 2-B. The “Sense of Wonder/Sense of the Wild” theme encourages an expanded focus beyond nature’s beauty and wonders, to include the beneficial ecosystem services from wild nature that help to sustain us. Why? Today we face the danger of losing many ecosystem services that enhance our way of life or provide basic, life-sustaining services.4 In the past, these services have come from ecosystems (composed of wild plants, animals, and microbes) making up the earth’s biosphere. Recently, many ecosystems have become impoverished by natural habitat degradation, loss of wild species, and toxic contamination. Many are no longer able to maintain these essential services at levels adequate for sustaining our human societies. Restoring ecosystems to health starts with greater public interest in, support of, and knowledge about the living world around us. Once the potential benefits from functioning ecosystems become more widely known, we believe an informed public will insist that our leaders give environmental protection the highest priority. 1: (Bratman, G., Daily, G., et al, “The benefits of nature experience: Improved affect and cognition,” Landscape and Urban Planning, June 2015). 2: Data on decreasing depression in teens by exposure to natural areas: (Bezold, C., et al, “The Association between Natural Environments and Depressive Symptoms in Adolescents Living in the U.S.,” J. of Adolescent Health, 2017). 3: (Abrahamson, J., “The Science of Awe,” Sierra [Magazine], Nov/Dec, 2014). 4: Scientists tell us that protection of biodiversity and the establishment of parks and nature preservation areas are worthy goals but more must be done to meet our present and future needs. There must be recognition that the physical, chemical, and biotic integrity of the biosphere are at issue and the biosphere’s “preservation must be seen as a call to arms because civilization [itself] hangs in the balance.” (Woodwell, G.M., 2016 A World To Live In, p, 133). This Contest is inspired by Rachel Carson’s writings, in particular her book The Sense of Wonder and the last chapter, “The Other Road,” from her book Silent Spring. In the Sense of Wonder (a short, easy read – recommended for all adults), Rachel Carson shares her own appreciation for nature and her belief that all people have within them the potential for appreciating and drawing inspiration from the beauty of nature. She also notes that people from different generations can benefit from sharing experiences of nature’s wonders. In “The Other Road,” as well as in other parts of Silent Spring, Rachel Carson writes about the benefits from nature’s services. These services work best when plants and animals exist in healthy wild areas (such as a forest, a stream, or a meadow). Rachel Carson writes that bees depend on such weeds as goldenrod, mustard, and dandelions for pollen as food for their young. She writes also that beneficial insects, such as dragonflies and lady bugs, along with spiders can serve as our allies by helping to control pest insects such as mosquitoes, aphids, and biting flies. This contest is divided into two themes. Choose One. 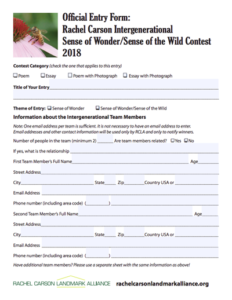 Entries in this theme will express the sense of wonder from nature that team members share as the result of a beautiful, fun, or exciting experience. The sense of wonder can be found as close by as one’s backyard or as distant as the night sky. 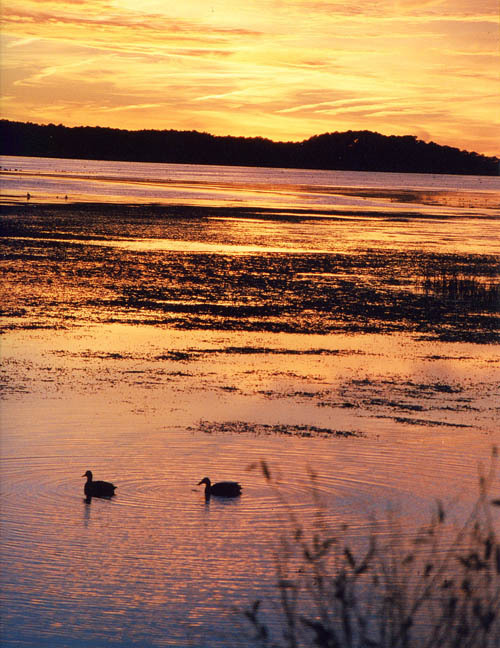 It can include the sound of wind, the call of a bird, or the chorus of wood frogs. It can be the smell of a pine woods, the scent of lavender, or the aroma from a mint leaf crushed between your fingers. When we teach our eyes, ears, and other senses to focus on the wonders of nature, we open ourselves up to delightful discoveries all around us. 1. The Sense of Wonder, by Rachel Carson, 1965. Dragonflies help control mosquito populations. Oak trees support more than 500 species of butterflies and moths, the caterpillars of which can serve as food for migratory birds and their young. Wild bees can be important pollinators of crops such as apples, cherries, plums, almonds, blueberries, and alfalfa. Most of these bees do not live in colonies but are solitary, living in the ground, in tree cavities, or in hollow plant stems. Plants can produce food for bees, beneficial insects, birds, and ourselves if they have healthy soil, clean water, favorable climate, fresh air, and sunlight. Wildlife working in ecosystems help to generate most of these conditions. 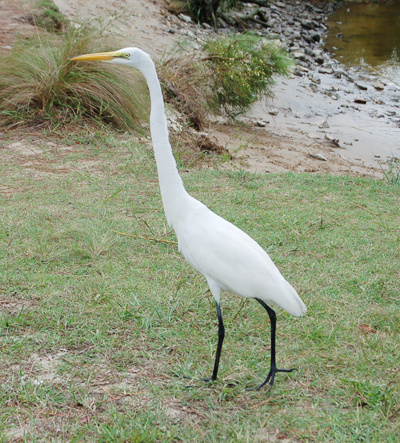 Humans and all living things benefit from the work of wildlife. Expressing this Sense of Wonder/Sense of the Wild theme starts with a positive nature “wonder” experience. It then calls for investigation of a particular constituent of that experience (such as a bird species, a tree species, an insect group, a fish species, or a forest, stream, river, or prairie) for its capacity to generate services. The resulting entry is focused on the contributions to human society that are made by a wild subject existing in its healthy, natural, ecological habitat. Once awareness of the potential benefits from wild populations in healthy ecosystems becomes more widespread, greater support for their protection will result. 1. Baskin, Yvonne, The Work of Nature: How the Diversity of Life Sustains Us. Island Press, 1998. 2. Carson, Rachel, Silent Spring; Chapter 17, “The Other Road.” Houghton Mifflin Co., 1962. 3. Fraser, Caroline, Rewilding the World: Dispatches from the Conservation Revolution. Henry Holt and Co., 2009. 4. Jupiter, Tony, What Has Nature Ever Done for Us? How Money Really Does Grow on Trees. Synergetic Press, 2013. For each of the two themes given above, choose one of these four possible categories: Essay, Poem, Essay with Photograph, Poem with Photograph. C. Essay with Photograph: Maximum essay length of 500 words; no size limit for the photograph but please send one photo per team. Send your photo entry electronically as a .JPG file, minimum 300 ppi, size: 100%, attached to an e-mail to: rachelcarsonlandmark@verizon.net. All work must be original and the photographer must be identified. D. Poem with Photograph: Maximum poem length of 500 words; no size limit for the photograph but please send one photo per team. Send your photo entry electronically as a .JPG file, minimum 300 ppi, size: 100%, attached to an e-mail to: rachelcarsonlandmark@verizon.net. All work must be original and the photographer must be identified. Entries must be submitted by an intergenerational team of two or more people who are not from the same generation – a younger person and an older person. Team members can be relatives or not. Ages of all contestants must be listed on the Official 2019 Entry Form. Team members can be from the U.S. or from outside the U.S. Entries must be accompanied by the Official 2019 Entry Form. Team members of winning entries listed on the RCLA web site will be identified only by first names and ages (optional). The team will retain rights to use the submission for other purposes. The ability to capture a Sense of Wonder or a Sense of Wonder/Sense of the Wild. How the intergenerational team planned and carried out the project. How having people from different generations made the project special. How the creative project brought the team in touch with the natural world. General comments for poetry entrants: Poetry is a wonderful vehicle for enacting Rachel Carson’s “sense of wonder,” as poems are a kind of discovery. The most exciting entries are the ones that take the reader along on this journey, evoking the sights, sounds, smells, tastes, and feelings encountered on the way, rather than relying on direct statements to convey “wonder.” Imagery is the engine that drives poetry and makes reading a poem a memorable experience. The intergenerational component of this contest is another exciting aspect. The most successful teams tend to be those who venture out together. Winners will receive a certificate from RCLA. Their first names and ages (optional) along with the title of their winning entry will be posted on the RCLA web site. A portion or all of the winning entry may be posted on the RCLA web site. Along with your entry, please include the Official 2019 Entry Form; click here for the entry form. We will acknowledge receipt of your entry. The deadline for receipt of entries is November 16, 2019. Click here for the Official Entry Form. Winners will be notified in a timely fashion. Announcement on RCLA’s web site will follow. Rachel Carson (1907-1964) is considered one of America’s most influential authors. She wrote three books about marine biology, two of which, The Sea Around Us and The Edge of the Sea, were best sellers. Her fourth book, the splendid, groundbreaking Silent Spring (1962), documented threats to the environment and human health from use of chemical pesticides – at a time when many Americans regarded them as harmless technological miracles. 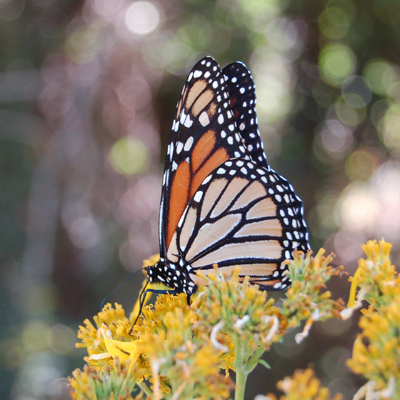 Silent Spring had a profound effect on the public’s attitude about pesticides. 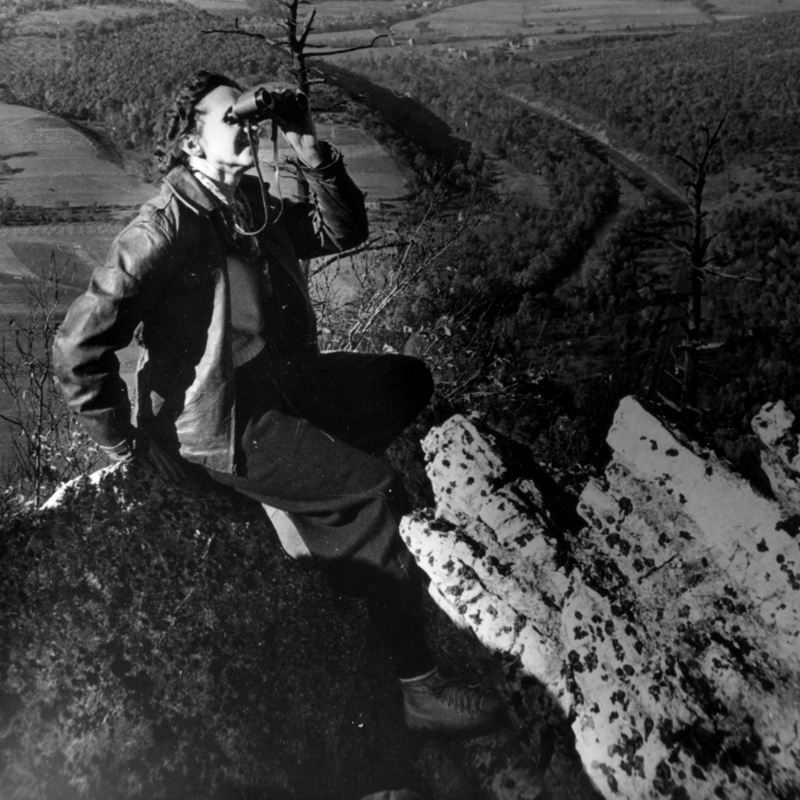 The founding of the U.S. Environmental Protection Agency (1970) and the passage of environmental laws in the decade following Carson’s death are attributed in large part to the impact on society of this eloquent woman’s works. The Contest originated with the U.S. Environmental Protection Agency (USEPA) along with several partner organizations. It was conducted for 7 years primarily by the USEPA, through their web site, by Kathy Sykes. In December 2013, the USEPA suspended the Contest, and starting in 2014 the Contest came under the sponsorship of the Rachel Carson Landmark Alliance. Choose your intergenerational team member(s). With your team, choose your preferred theme. With your team, choose your preferred category; decide on a format – poem, essay, poem with photograph, or essay with photograph. Set out to experience your team’s wonder from nature – whichever of the two themes you choose (Sense of Wonder or Sense of Wonder/Sense of the Wild). Prepare your entry by writing up your sense of wonder experience or by writing up the results of your research on the beneficial services of a special animal, plant, area, or ecosystem. After your written entry is complete and has a title, fill out the Contest entry form. Send your Contest entry to RCLA by November 16, 2019. If a photograph is part of your entry, be sure to include it. More time spent outdoors enjoying nature – resulting in improved overall physical and mental health. Sharpening the ability to focus on a specific positive outdoor experience combined with using communication skills to convey what is observed and felt – valuable assets in today’s world. Increased awareness of and appreciation for how healthy ecosystems provide life-sustaining services – leading individuals to develop a higher regard for the environment and to act in ways that protect it for ourselves and future generations.